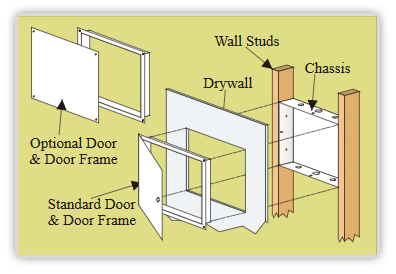 These structured wiring cabinets, or home automation cabinets, are used in home automation applications or whenever an installation requires recessed cabinets or enclosures to be mounted within and flush with the wall. 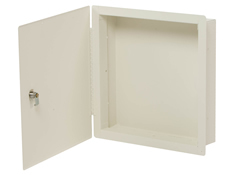 Scroll down to see two Flush-Mount Cabinet models and features. 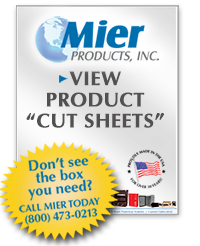 Custom sizes and features are available, including UL Listed models for quantities of 25 or more. Plenty of room for us to screen print your logo!